The sustainability of one third of all seafood certified as the ‘best environmental choice’ has been questioned by a new study. 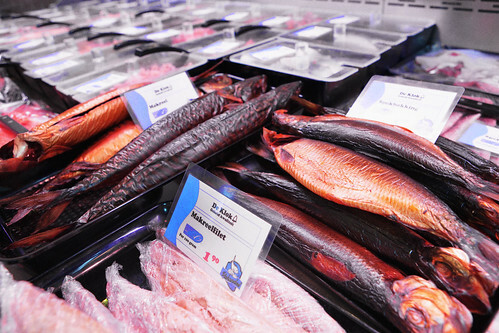 Researchers reviewing seafood with the Marine Stewardship Council (MSC) eco-label concluded that the certification scheme could be misleading consumers. They criticised MSC certification, widely regarded as the gold standard of marine eco-labels, for being “overly generous” to the fishing industry when the sustainability of fisheries are being assessed. The study findings were strongly disputed by the MSC. Researchers expressed concern that the assessment system allows the MSCs three main principles supposed to govern certification - that the stock of fish targeted is sustainable, that there are only low impacts on the ecosystem and that there is effective management – have been ignored or weakened because they are “weakly written” and “are capable of loose and subjective interpretation”. The result, they say, is that too many fisheries are being certified as sustainable, and that in some cases certification is permitted despite overfishing continuing. Each application for MSC certification has to be considered by third-party assessors who are supposed to be independent. However, the study claims, their independence has to be questioned because it is in their interests that fisheries get certified successfully because they are likely to get further work from the fishing organisations which commission the assessments. Dr Jennifer Jacquet, of New York University and one of the authors of the report, said there are serious questions over the sustainability of a third of all MSC certified products. “What I find really crazy is one third of every bite has been objected to by an NGO – sometimes the WWF which founded the MSC,” she said. She called for the MSC, which maintains its label identifies the “best environmental choice in seafood”, to tighten up its certification system. She said it appeared that objections, formal and informal, are being largely ignored and that the certification system is unduly weighted in favour of the fishing industry. In their report, published in the journal Biological Conservation, the research team said: “Contrary to MSC claims, MSC-certified fisheries are not all sustainable, and certified fisheries are also not necessarily improving. In reaching their conclusions the researchers looked at the 19 certifications relating to 18 fisheries for which formal objections were lodged. On just one occasion was certification refused. The objections related to 35 per cent of the tonnage of MSC-certified seafood. Among the fisheries cited by the researchers, from a mix of universities and conservation groups, was Pacific hake which they said was “an example of a depleted stock that was certified, and where managers ignored scientific advice about rebuilding the stock”. One of the most controversial certifications was that of the Canadian longline swordfish fishery which was granted the MSC eco-label despite bycatch levels being more than five times higher than the targeted fish. The fishery takes 20,000 swordfish annually but also catches 100,000 sharks and 1,200 endangered loggerhead turtles and 170 critically endangered leatherback turtles. “These overly generous certifier interpretations not only lead to questionable certifications, but also mislead consumers and may eliminate market advantages for truly sustainable fisheries. There is a harpoon component of the Canadian swordfish fishery that has zero bycatch and was certified with no objection, yet it will carry the same label as the longline fishery,” the report added. The MSC issued a strong rebuttal of the criticisms and accused the research team of concentrating on “previous critiques of MSC certified fisheries by environmental groups that have been shown to be untrue”. In a statement it said: “[The researchers] appear to misunderstand the intention of the objection procedure. Their paper fails to capture the wide range of benefits associated with a participatory and transparent objection process. "Nor do they declare their personal interests in the article: more than one-third of the objections filed and listed....were filed by co-authors or the institutions that employ them.